Leaving his friends to foil the Nazis in Occupied France, Ryan Lemmon returns to Berlin. 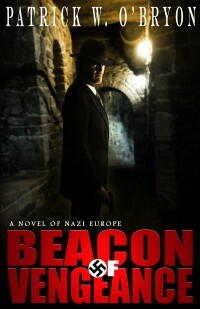 Under deep cover in this city of shadows, the American conspires with a powerful German spymaster. Together they intend to subvert Hitler’s state, but secret agent Lemmon is equally committed to saving the life of a dear friend. Threading his way through the menacing streets, he knows he wears a target on his back. He may be buying her safety with his own life. Fulcrum of Malice is the final volume in the Corridor of Darkness trilogy. WATCH FOR THE PAPERBACK EDITION AVAILABLE BY THANKSGIVING! 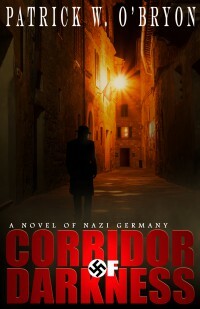 This entry was posted in European Travel, Historical Thriller, Uncategorized and tagged Berlin, Corridor of Darkness, Espionage, Europe, Gestapo, Historical Novel, Historical Thriller, Nazi Germany, Nazi Thriller, Nazis, Third Reich. Bookmark the permalink. 1 Response to BERLIN 1941 – Are you ready? I’m delighted to share the word that Patrick O’Bryon’s “Fulcrum of Malice” can be purchased on Amazon right now. Are you as eager as I am to learn Ryan Lemmon’s fate?